We’re throwing job seekers a bone with our roundup of companies where employees say pets are treated like family. We’re convinced that some companies are run by Cruella De Vil. OK, maybe that’s a bit of a stretch—Dalmatians everywhere can take comfort in that—but the point is, some employers don’t give your pets a second thought beyond politely smiling at the 20 different pictures of your cat you have sitting on your desk. They don’t offer your pets insurance for those pricey trips to the vet, and they certainly don’t offer your pets invitations into the office. Fortunately for Fido, that’s not the case for all companies. 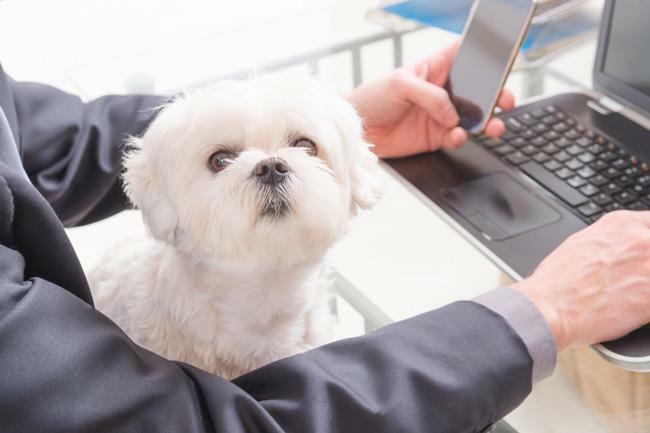 Some best-in-class employers understand the value pets can bring to the workplace and beyond, such as boosting productivity, lowering blood pressure, and adding a whole lot of cuteness. That’s why some companies offer benefits, such as pet insurance, pet daycare, or even allow you to bring your pet to work. Recently, Monster partnered with employee-review platform kununu to identify workplace benefits and perks that employees rate as most important to their job satisfaction. Using kununu’s data, identifying the top-ranked companies overall that scored highest for friendliness toward pets and then rounded up the jobs they’re hiring for on Monster. The winners range from retailers to universities and everything in between. But don’t just take our word that these companies care about your pets. Take it from the people who know best: current and former employees who left reviews on kununu’s site. See if one of the companies below would be a good fit for you—and your pet. What they do: The country’s largest consumer cooperative, REI has stores throughout the country that sell sporting goods, camping gear, travel equipment, and clothing. Find REI jobs on Monster. What they do: Salesforce.com is a cloud computing company that helps businesses connect with customers across sales, customer service, apps, analytics, and marketing. Find Salesforce jobs on Monster. What they do: A public research university, the University of Oregon is comprised of nine schools and colleges. Find University of Oregon jobs on Monster. What they do: The U.S. Army is one of the three military departments within the Department of Defense. Find U.S. Army jobs on Monster. What they do: With a keen interest in sustainable fashion, H&M is one of the word’s leading fashion companies, operating more than 4,500 stores across the globe. Find retail jobs on Monster. What they do: As both the oldest and largest higher education institution in San Diego county, San Diego State University is a highly regarded public research university comprised of seven colleges. Find SDSU jobs on Monster. Find University of Georgia jobs on Monster. What they do: Nvidia is a tech company focused on artificial intelligence. Find Nvidia jobs on Monster. Find Google jobs on Monster. What they do: With more than 40 local locations, Norton Healthcare specializes in providing cancer, heart, women’s, and pediatric care. Find Norton Healthcare jobs on Monster. Here’s a treat for you: Join Monster today, and we’ll reward you with weekly career advice and job alerts at top companies delivered right to your inbox.